We install aluminium bi-fold doors across… Warwick, Royal Leamington Spa, Kenilworth, Wellesbourne, Stratford-upon-Avon and Warwickshire. 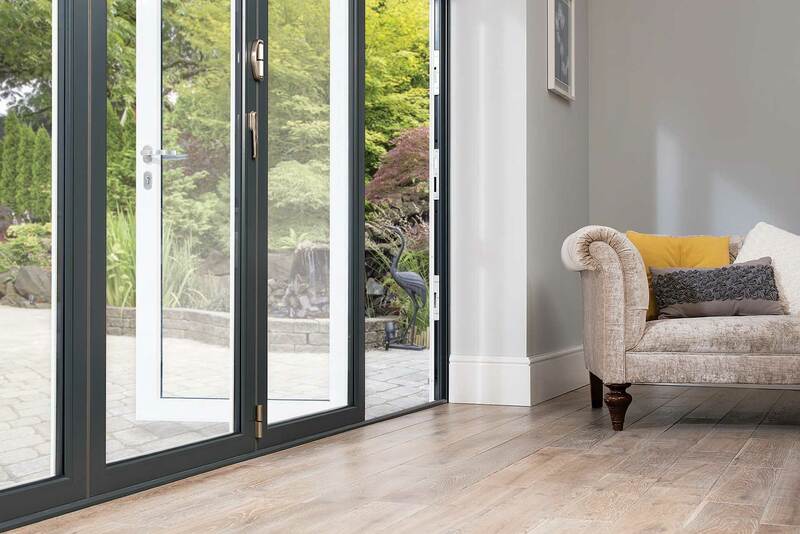 All of our aluminium bi-fold doors are fitted with a smooth running free glide system, comprising multiple wheels to ensure the operation is simple and easy. Not only does this make for a pleasant user experience, it also reduces the wear and tear on the doors to help them maintain a longer lifespan. With this in place, you rest assured that you’ll be able to enjoy the best in functionality and durability to make these bi-fold doors stand out. Our aluminium bi-fold doors are designed to prevent fingers, especially tiny ones, being caught between them. This means that you’ll be able to bring a new door to your home that will give you the peace of mind that comes with a family conscious design. These gaskets are intelligently integrated into the frame to ensure they don’t compromise aesthetic, so you can enjoy the best of both worlds. All of our aluminium bi-fold doors are fitted with tight weather seals, which works to keep water ingress and draughts at bay. This means that you can maintain the comfort of your home, without having to worry about water damage compromising the lifespan of your door. The elements are kept at bay further through a durable powder coating that prevents them from flaking or peeling when exposed to the elements. 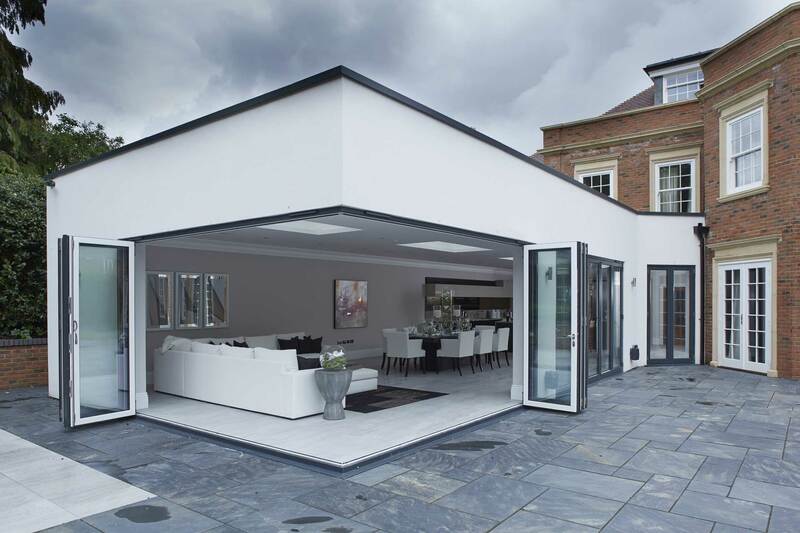 Our aluminium bi-fold doors are an elegant creator of space and potential. While the elegant design and ultra slim aluminium frame profile connect you to the world like no other, the precision engineering and high-performance components combine to deliver doors of matchless quality. A gentle push is all it takes to create your new living space, each lightweight frame section opens and closes on a unique free-glide roller carriage. An aluminium bi-fold door is a personal expression of your taste and lifestyle. Let us guide you with our specially selected collection of our most popular colours but remember that our bi-fold doors are also available in any RAL colour. Additional to our 10-year guarantee, every aluminium bi-fold door comes with a unique serial number that guarantees the parts of the doors for an industry leading 20 years, allowing these doors to bring value long after their initial installation. 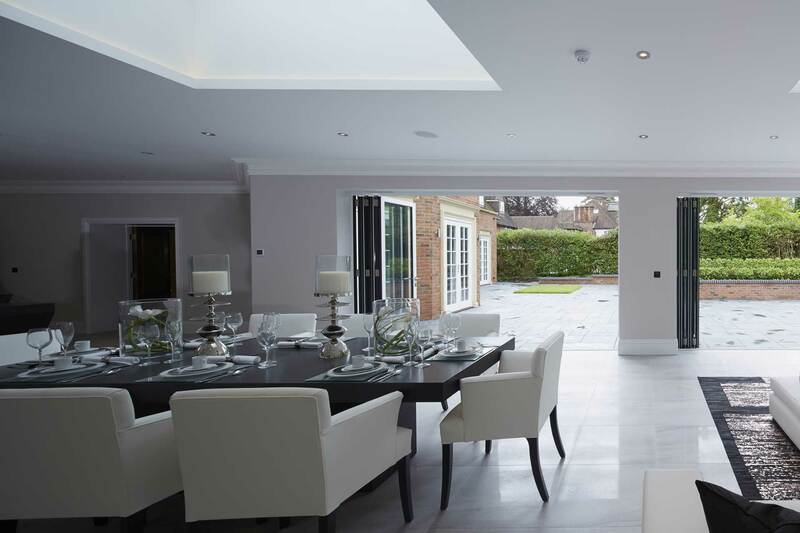 Although aluminium was once known to uphold poor thermal efficiency, we are able to offer you an updated design that achieves an outstanding degree of performance. This is made possible through a modern, high-performance profile that works to trap in pockets of warm air. This system combines a thermally broken profile with high performance sealants to secure impressive standards of heat retention through the colder winter months. Our aluminium bi-fold doors are available in over 150 beautiful RAL colours, including woodgrain foils that enable you to capture the look of traditional timber doors without having to worry about any of the maintenance setbacks that the material has. You can also choose from a range of dual colour options that enable you to decorate the interior and exterior of your door in separate colours to complement the façade and interior décor of your home. Our expert team are able to offer you an aluminium bi-fold door that has been tailored to suit your exact specifications. All you will need to do is specify a size, choose the number doors, choose your opening configuration, pick a colour for the inside and the outside, select your door handle and any other complementary hardware. Once all of this has been specified, we’ll be able to offer you the ideal aluminium bi-fold door for your home. Due to the inherent qualities of aluminium, these bi-fold doors will be able to last the test of time with minimal input from you. All you will have to do is give them a quick wipe down with a damp cloth to ensure they maintain an ‘as new’ look. Further to this, you won’t have to worry about these doors rotting, warping, cracking, discolouring, fading, peeling, or cracking when the doors are exposed to bad weather. You'll be able to enjoy them for years to come. Visit our online quoting engine to get a free, instant, and highly competitive aluminium bi-fold doors price. Simply input your specifications through the step by step process to get a price that has been tailored to you to make things as cost-effective as possible.